Our Highland lassie dress is designed so the sleeves, bodice and skirt are made into one- eliminating the need for three garments. By doing this you save money and will be a lot cooler with less weight to wear. 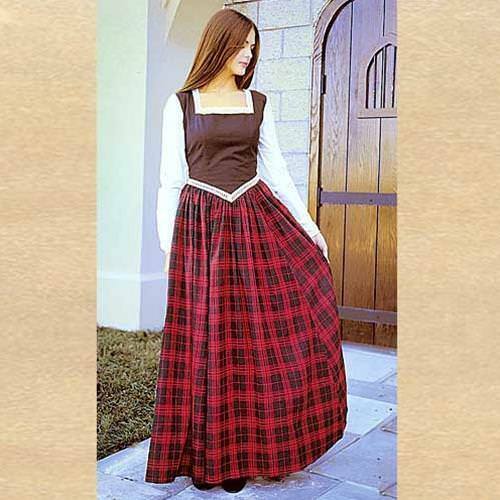 Dress features a full skirt matching the plaids in our men s kilt. Available only in red/green plaid. Black bodice with white lace trim adds to the lovely look of this dress. Back lacing. S(6-8), M(10-12), L(14-16) or XL(18-20).